A bit of a whirlwind quilting week and the quilt is finished and actually already delivered and I am pleased to say it was well received. So much so that my uncle and his wife said something about me making another one for their guest room. I loved every moment of making it and am really pleased how the greys and browns work together. If you are a regular reader of my blog you will know that I frequently venture into the non-white colour quilting world and this is another example that proofs that you don't always need white as one of your main colours.This was the first time that I made a quilt for a man. Actually that is not true it is the second time but it is the first time I made something with a very distinct male colour palette and male attitude and I think I nailed it as my uncle really was very happy about it. The squares are 5" finished size and the entire quilt is 65" x 75" which is a good size to snuggle up under. 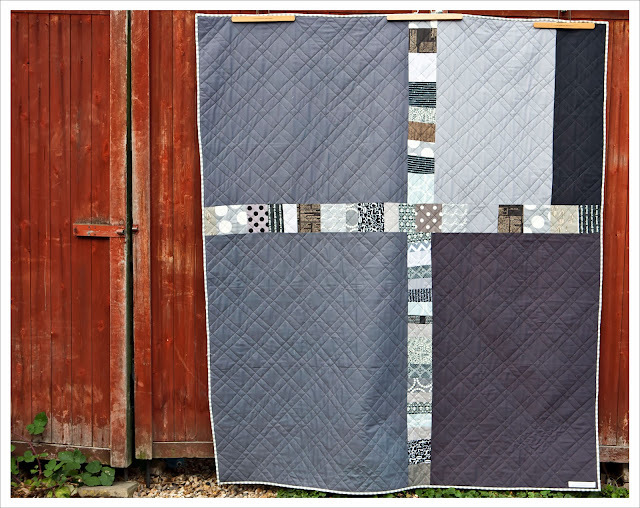 I quilted in a double diagonal crosshatch lines which is particularly visible on the back of the quilt as I used a lot of grey solids there. I bound the quilt in a lovely light grey/white stripy fabric which I is from the collection "From little things" by Sarah Fielke. And here another images that shows the diagonal crosshatch really well. 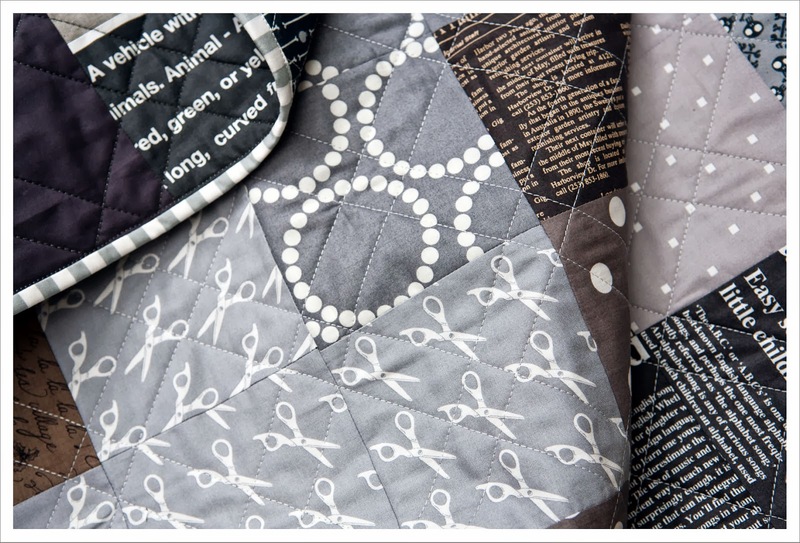 I do think this is one of the most effective straight line quilting patterns. This is gorgeous! I love the back particularly! Fantastic! May be my favorite plus quilt! 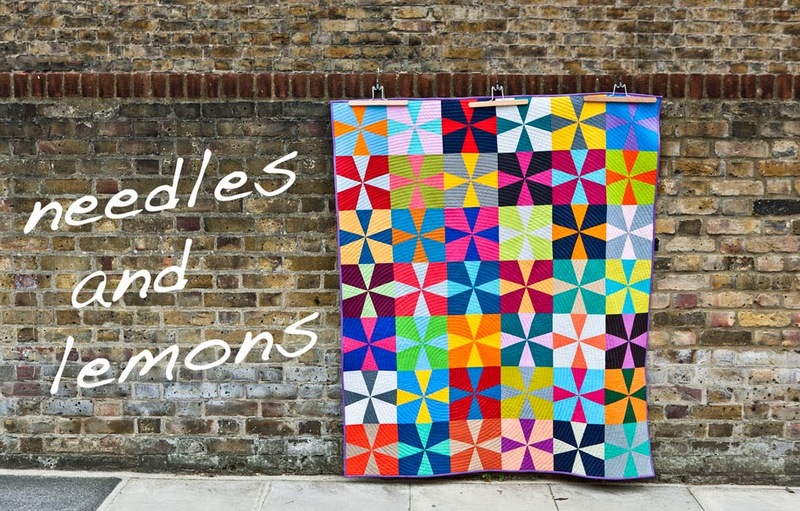 love this :-) So did you just cut 5" squares and then arrange them as crosses? 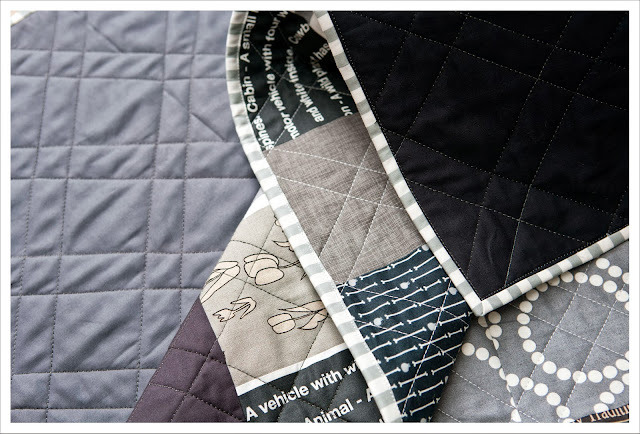 I am keen to make a quilt for my son like this - i have some fat quarters and a couple of half yards and was just trying to work out how to cut it all. Thanks! Yes that is pretty much what I did. 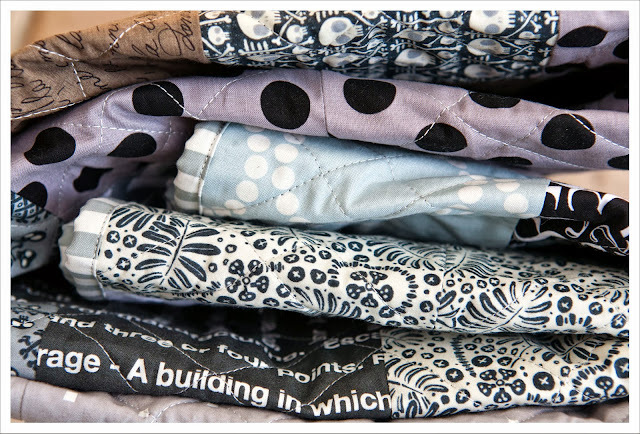 I took all my fabrics and cut 4 squares each and then started arranging them. Then I started to add squares to fill up. There are a lot of half or quarter plusses for which you don't need 4 squares. This is a really special finish. I love the back as much as the front. Lovely - and different. A great quilt. Such a great pattern and colour combo for a"guy" quilt - love the back too! 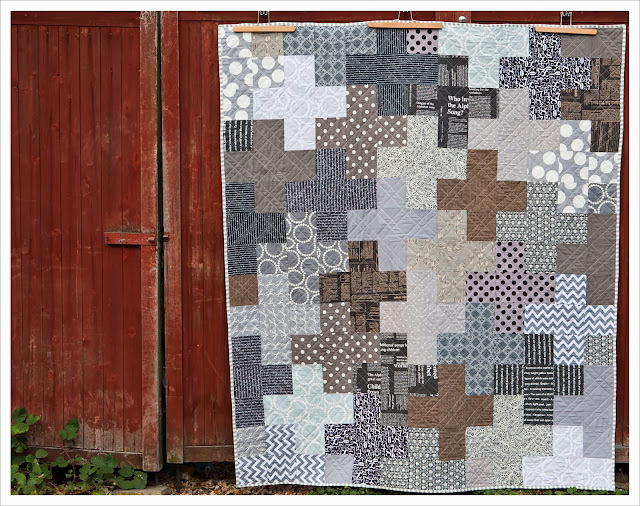 This is a wonderful quilt, I love the subdued palette. 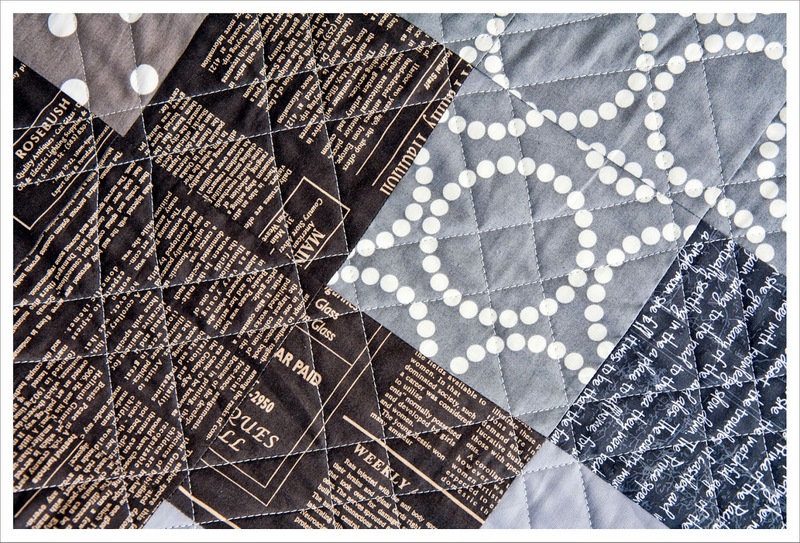 Really nice quilt! I love the design of a plus quilt, and your colour palette looks really good with it. No wonder they requested another!